A ready-to-eat toasted breakfast cereal with whole grains, nuts and seeds. Serve with yogurt, milk or fruit for a satisfying start to the day. Contains nuts and gluten (from oats), may contain traces of sesame. The Lizi's Original Granola - 500g product ethics are indicated below. To learn more about these product ethics and to see related products, follow the links below. 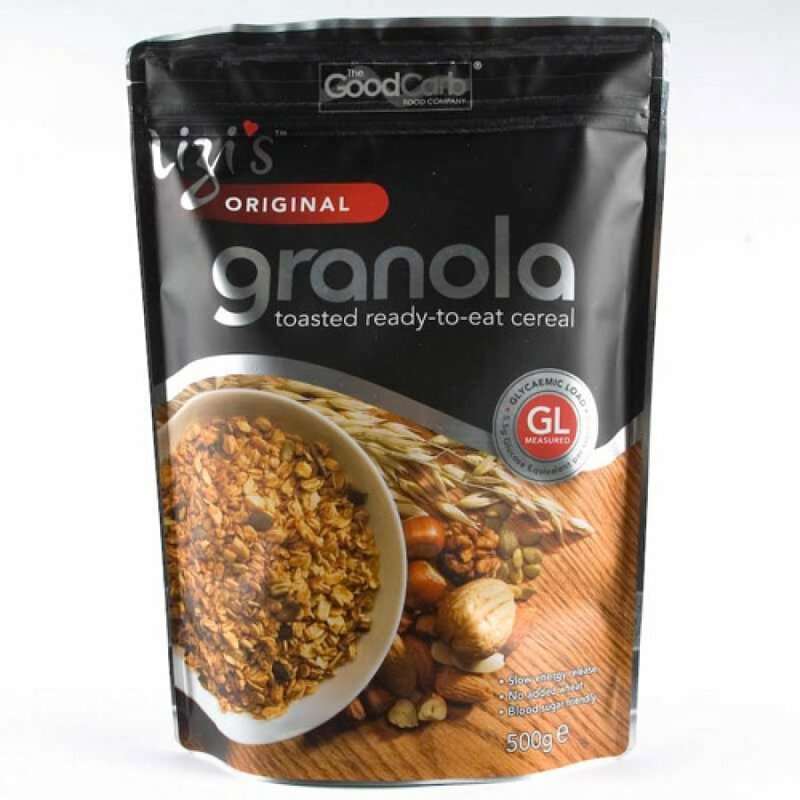 There are currently no questions to display about Lizi's Original Granola - 500g. Lizi’s was created in 2003 with the idea to promote a sense of wellbeing induced by good food without creating the artificial blood sugar fluctuations produced by convenience foods. The Company is passionate about food and has experience in organic farming and science, allowing it to develop its great tasting vegan granola products. Lizi’s produces both organic and non-organic ready to eat granola using high quality ingredients to ensure an exceptional taste while still being healthy.